The method of metal casting was invented in China more than 4,000 years ago. The development of the skill reached to its zenith to produce highly complicated bronze wares of Yin and Zhou dynasties. The tecnique was introduced into Japan and great bronze statue of Buddha of Todai-ji Temple was completed in the 8th century. 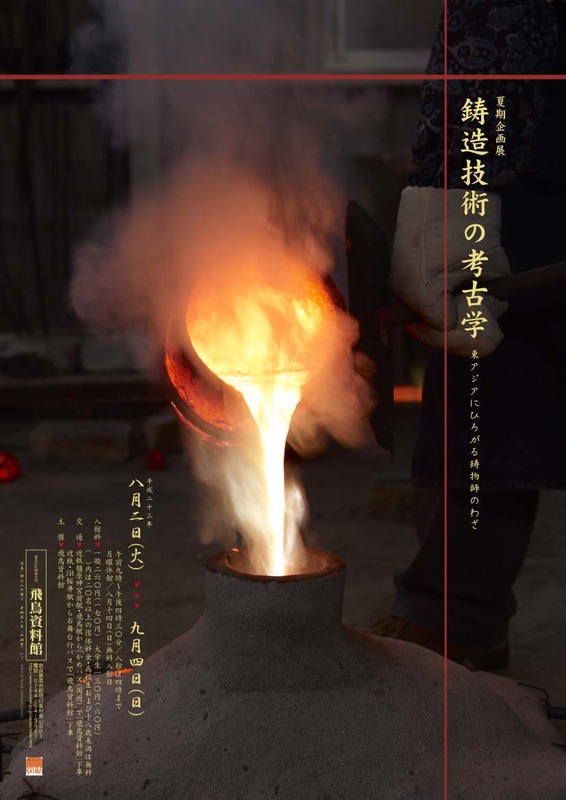 In this exhibition we would like to introduce the results of investigations about ancient metal casting carried out by Nara National Research Institute for Cultural Properties, and examine the development of the metal casting art by tracing the archaeological remains of old foundries in the East Asia.